Welcome back everyone, this week we have Briar’s book! I found this book to be the saddest in the whole series across all three quartets (I know the last one isn’t finished yet). Reading about Briar being forced to work in a civilian “hospital” managing a massive outbreak that is killing people, is highly contagious and resistant to all treatment is awful. Especially because they discovered it because his mate Flick caught it and was one of the first to die from it. Reading about how oppressive that environment is gave me a whole new appreciation for our doctors and nurses who work tirelessly to help those in need. Poor Briar and Rosethorn worked from the moment they woke up to the moment they passed out caring for those around them and having their own life and energy sucked from them was almost heartbreaking. I’m pretty sure if I was to read this now, I would end up in tears because of how sad the whole situation is. And poor, sweet and considerate Briar was the one to realise that they needed their living plants around them to perk them back up. Unfortunately, it was too little too late and Rosethorn got sick. Briar’s attachment to Rosethorn was so strong that he leaped after her into the world of death to bring her back because he wasn’t ready to lose her. To make sure they didn’t lose him, all three of the girls jumped after him to hold him secure to the world of the living. That whole ordeal was tragic. If it wasn’t for the fact that I knew The Circle Opens was out, I’d have wondered if all four of them and Rosethorn were going to die trying to save her. Luckily, they were able to bring Rosethorn back with them and save her life. But her speech and mobility were impacted because she was technically dead for a few minutes and so parts of her brain died. But we don’t really see too much of this in this book. 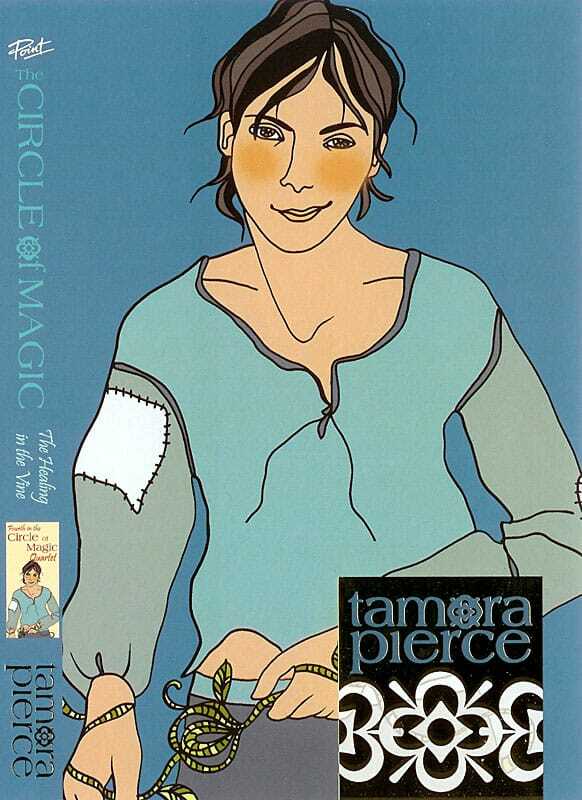 Thank you for reading and I hope you enjoyed this review, next week I will be reviewing Magic Steps, the first book in The Circle Opens quartet.